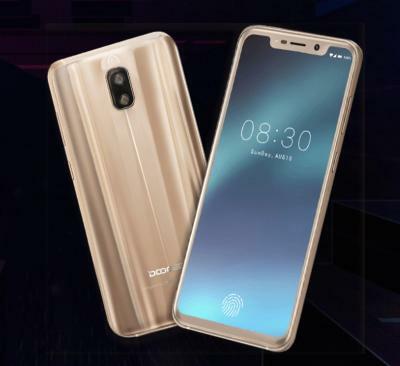 Doogee V smartphone is a high-end flagship phone that features a 6.21" AMOLED display (produced by Visionox) that sports a 2160x1080 resolution and an iPhone-X like notch design. The Doogee V also includes an under-the-OLED fingerprint sensor and has a high screen-to-body ratio of 94.85%. The Doogee V was launched at MWC 2018.